Like Senior Editor Jorge Salas, Mike Dent’s love for tokusatsu has been lifelong. Starting from the age of three, Mike grew up with Sunday morning viewings of Captain Power and Robotech, which then developed into watching Star Blazers, Ultraman, re-runs of Godzilla movies, and whatever bootleg tapes he could find in the Gen Con dealer’s room. Mike hosted and produced the podcast R5 Central in 2005, and later R5 the Live on YouTube. This would lead him into a regular writing post for Otaku USA Magazine where he also produced the short-lived Friday ACE podcast. 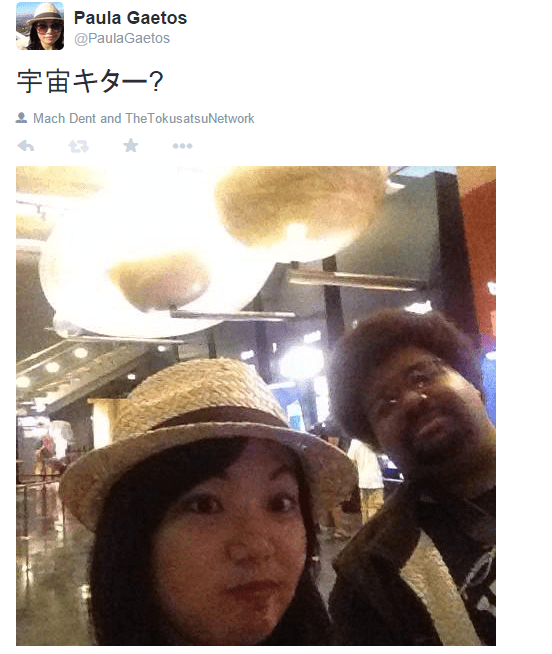 In January 2014, Mike would become one of the founders of the Tokusatsu Network. Were you nervous or worried about the launch of the Tokusatsu Network? You know, it honestly didn’t phase me much? It was probably more excitement than anything else since this is something I’d wanted to take part in for the longest time. I will admit that there was a point where I kept checking site stats like clockwork. TokuNet gathered 7,000 visitors and over 12,000 views in its first week with only three articles. How did you feel seeing that kind of response? I remember being gobsmacked and again, this brought on that tendency to check site stats religiously. On my own, I’ve only ever seen that kind of rush happen sporadically with my podcasts R5 and Friday ACE. In the case of the former, it was mostly for big name interviews which were a rare thing. For the latter, it was due to the time when I kinda-sorta pissed off a portion of the AKB48 fandom. (Dear god, that was a fun couple of weeks.) But returning to seriousness, it was a great feeling and a reaffirmation that I made the right choice with the right people. It may sound lame, I’ve often been sort of self-effacing with a lot of the things I’ve done in the fandom, so I cherish those tiny reminders that the work is appreciated. For awhile, my favorite moment ever was during a Tokusatsu panel at Otakon a few years ago that I was going to be on but had to bow out of. When my friend, Tyler, mentioned to the room that I wasn’t going to be able to make it, the entire room let out a collective “Awww!” in response. The tweets and support from that first week, including the multiple comments calling us heavy-hitters/an all-star lineup of the fandom? Topped it. Considering how fast TokuNet has grown, do you have a sense of tension or excitement? If there’s any tension, it’s due to wanting to get the best possible thing out there to build on the already awesome standard we’ve set for ourselves. And that comes with anything that gets well-received. My only hope is that we can keep living up to those expectations and also raise the bar on a few things while we’re at it. Since its launch, TokuNet averages about 90,000 visitors a month and that number continues to grow, what is your personal hope and goals for TokuNet’s future and as a team? Now that we have 15+ people, my only hope is that we can launch a successful Kickstarter campaign to build Vehicle Voltron and go on space adventures. In seriousness, I want our team to, again, live up to the standard we’ve set and keep delivering top-notch content. I love what we’ve been able to do on the video side of the site and I can’t wait to share the things we’ve been cooking up. What inspires you to keep moving forward creatively in your personal projects, as well as your projects and goals for TokuNet? It’s a half-and-half mix of the collective drive of the team and the support we’ve gotten from our readers/listeners. I’m always coming up with crazy ideas on my own and being part of the team just exacerbates the backlog. There so much I want to do and so little time.